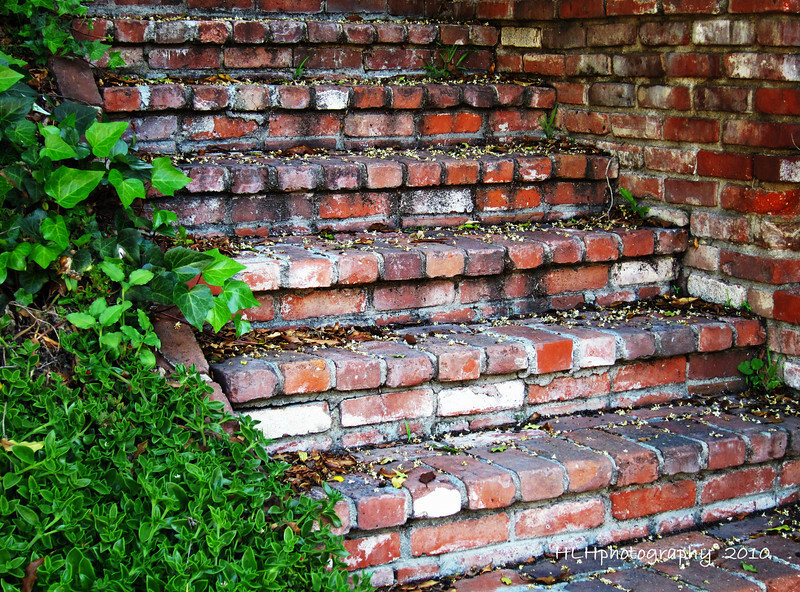 I love these old, colorful brick steps with the green foliage. They seem to be very warm and inviting...to me anyway. Love the colors in the brick...very homey looking. Lovely comp and light -- wonderful textures! Well seen. Those are some super brick steps for sure, and the green foliage is a great contrast. warm and textured bricks with the greeting of spring... love it..
ditto, art - very nice. Well seen and well executed.